Home / Entertainment Mix / Spotlight Diva: Roxanne Raiola Curves, Career, and All! 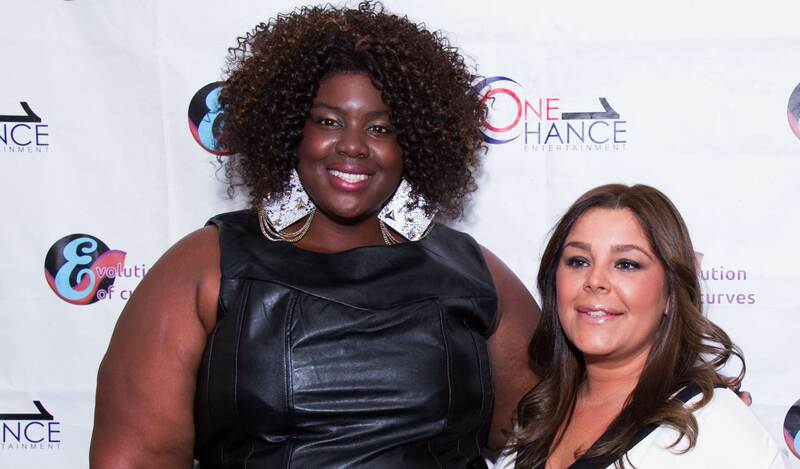 The Spotlight Diva caught up with one of the Stars of VH1’s Miami Monkey show, Roxanne Raiola! Roxanne left her job managing her husband’s construction business in Staten Island behind to help her Aunt “Big Ang” open the Miami Monkey. Roxanne spoke with us and gave us some insight about her life before and after the show. Fresh off of hosting the finale of the Evolution of Curves Finale Tour, Roxanne Raiola proves that women w/curves can have it all! Spotlight Diva: What was your experience like being a part of a major reality show franchise? Roxanne Raiola: It was an amazing experience working withVh1, being around friends and family in a beautiful city like Miami was great! Spotlight Diva: How long were you in Miami? What were the best and worst moments you had being in Miami? Spotlight Diva: What’s your background? Roxanne Raiola: I am mother and a wife. I co-own and manage my husband’s company, RGR Construction, [We got married when I was 24] I have been with my husband since I was 17. We have a 4 year old and a 1 year old. Spotlight Diva: Watching the season finale what was running through your mind? Roxanne Raiola: It was sad to see it all end. However I was happy that Christina took a major step to go into rehab to better herself. When you have an alcohol issue like that you may need to step away from that lifestyle. With Morgan she is who she is! She’s real and she’s about herself. Sandy and Roxanne Raiola at Evolution of Curves. Photo by Never Forgotten Photography. Spotlight Diva- Do you think Vh1 portrayed everyone properly on the show? You know many people say editing makes them look crazy etc. Spotlight Diva- How did you like hosting the Evolution of Curves? Roxanne Raiola: That show was amazing! I especially felt the models did an excellent job, they inspired me! Those models were confident [and] inspirational. I loved the energy [and] to see woman with curves are that runway was just an amazing experience. My husband actually encouraged me to host the show and I am glad that he did. Spotlight Diva- Whats next for you? Roxanne Raiola: I am not sure yet. Of course my mother and wifely duties never change. If we get a second season o f the Miami Monkey that will be great! Besides that just being a great mom and wife is what I have planned. The Mob Wives will come back with “New Blood” on December 5, 2013 so that is something exciting to see. In the future I may consider a children’s line or book. I want to align myself with brands that are relatable and are real to my lifestyle. Family is first priority. I come as a bundle package.